If you've been following my last few posts you've come to realize that we have quite a diverse assortment of chicken breeds. My mom and wife just brought twelve chicks home one day back in April. I'm pretty sure they got caught up in the moment and couldn't help themselves when they saw all the different kinds. 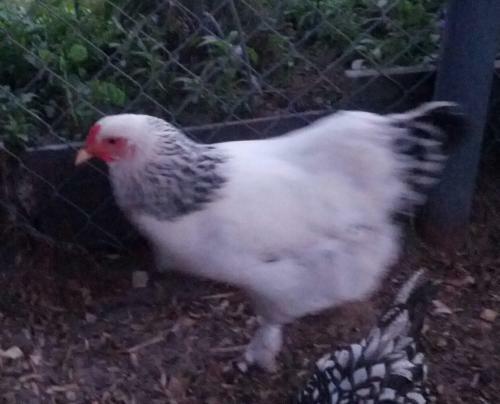 So, along with four Silver Laced Wyandottes, two Rhode Island Reds and two Austrolorps we also have two Light Brahmas. 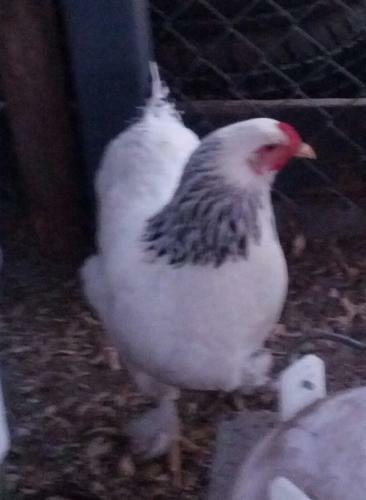 Besides Lucy and Ethel (the Rhode Island Reds) the Brahmas are the only other ones we've named. Well, my wife named them. She says they remind her of her grandmother and aunt so she named them Sadie and "G". They are pretty birds with feathers on their feet. They were the first ones to start laying. My next post will be about the one chicken I'm not quite sure about. Beautiful birds! Do they all get along? They all get along great. The feet feathers are very endearing. Really enjoying this chicken blog category EG. Login or register to leave a comment.